BSB is the fiercest, most celebrated domestic race series in the world and the headlining superbikes and sideways-slewing superstockers can always be relied on to produce the fastest, most fairing-banging action. To the casual observer superbikes and superstock machines look similar and their lap times are close, so what exactly are the differences them and how close are they from their road-going counterparts? 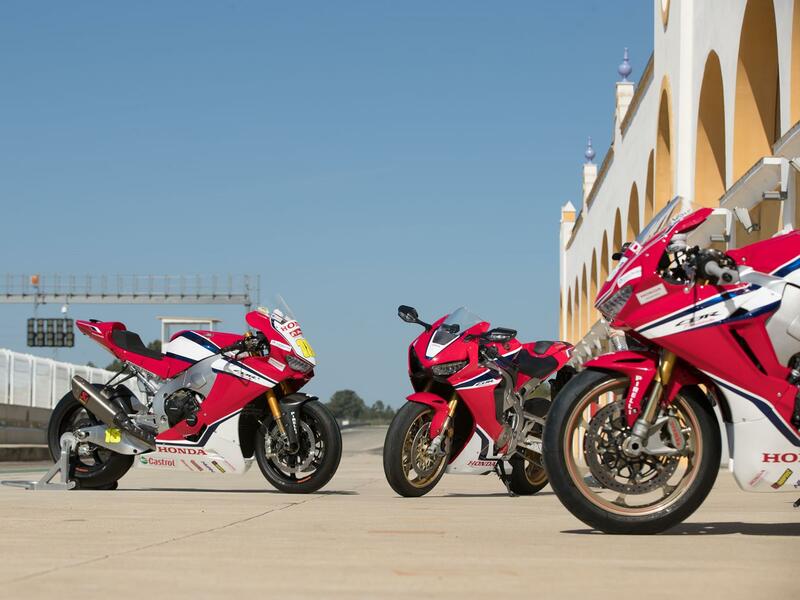 We’ve assembled these three fast Hondas at the Monteblanco circuit in southern Spain to find out: a standard Fireblade SP, Tom Neave’s box-fresh superstock-spec Fireblade SP2 and Andrew Irwin’s full fat BSB weapon. 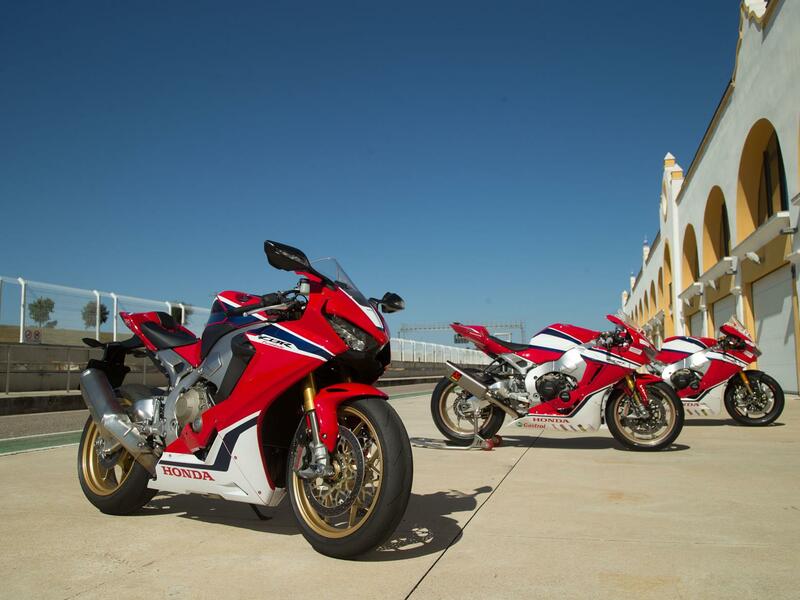 Honda’s Fireblade SP arrived in 2017 with all the boxes ticked: more power, less weight, IMU-controlled rider aids, chunky Brembos and Öhlins semi active electronic suspension. You couldn’t want for more. Racing did little to for its reputation that year, but in road trim the Blade SP won MCN’s 2017 superbike shootout and our bike of the year. It was a no brainer, thanks to its RC30-like build quality, classy road manners and easy speed around the track. Making ‘just’ (when did we get so greedy?) 179bhp on our dyno the 999cc inline four-cylinder machine gave away a fair chunk of power to its rivals, but like the ’92 original it was light. It tipped our scales at a fully fuelled 195kg, tying with the V2 Panigale as the lightest of the superbike class of ‘17 and a massive 16kg less than an Aprilia RSV4 Factory. It’s on-track poise, especially on sticky tyres (where it doesn’t set off its intrusive road-based traction control) gives this road bike the feel of a racer out of the box. It flatters and wraps you in a warm, fuzzy blanket of knee-scraping confidence. Here at Monteblanco with its awkward decreasing radius corners and slippery sandpaper corners, the Blade SP is a joy as it grunts urgently from turn to turn, plunging its Pirelli Supercorsa SP tentacles hard into the surface. 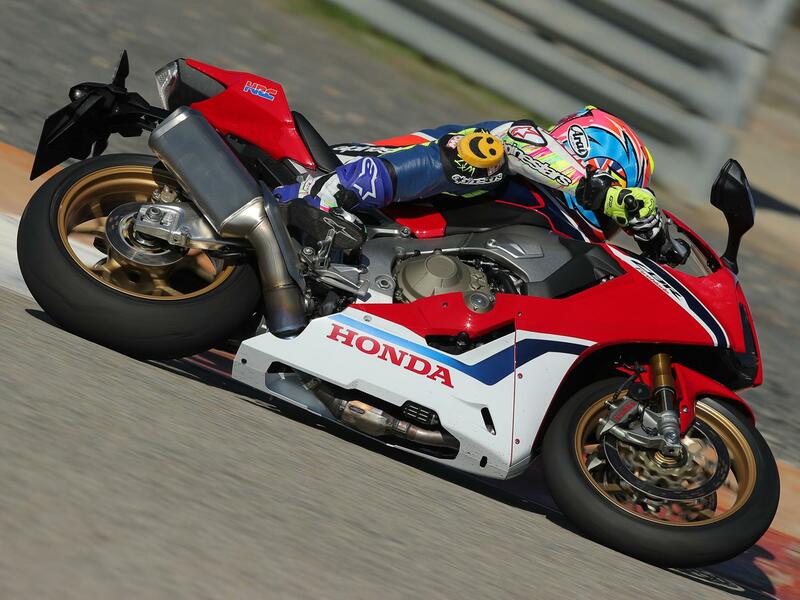 It’s not slow by any stretch, or quiet, so you won’t find many UK trackdays you can ride it at. Despite what you hear on the commentary a National Superstock 1000 machine, like Tom Neave’s Fireblade SP2 isn’t quite the bike you can buy from your dealers and take racing with minimal mods. Sure, you could do that, but you can forget about racing at the sharp end of this or any championship. Once you’ve stripped off the road gear, junked the ABS and electronic suspension, the hardware to create a superstock racer is relatively simple to come by, if not pricey: Öhlins fork internals and rear shock, pattern bodywork (with a gloss, not satin paintjob for 2019), braided brake lines, Brembo race pads, Akrapovic exhaust system, engine blueprinting, kit electronics, rearsets, handlebars, levers, crash protection, regulation Super Corsa SC2s and dozens of racy nuts, bolts and brackets. But the real art of creating a top level racer like this is the knowhow and the Louth-based Honda Racing team have it in spades. 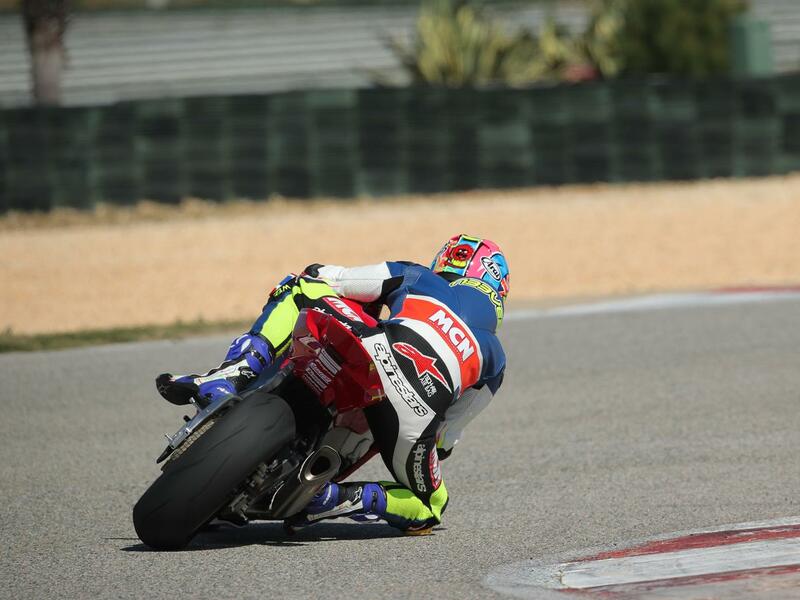 They’ve won BSB and WSB championships, TTs, World Endurance, supersport and everything in between. It’s why the biggest jump here between bikes in terms of feel and performance is from the standard Blade SP to this. This is the ‘homologation special’ Blade SP2 and is a welcome return by Honda to a class dominated by BMWs and Kawasakis. It shares the same basic spec as the SP, but has forged ali Marchesini wheels, stronger pistons, more room in the cylinder head for high-lift cams (only for the BSB bike), revised shape and angle intake valves (1mm bigger) and exhaust valves (1.5mm bigger), elongated spark plugs and like the RC213V racer, a new water jacket wraps itself around the reshaped combustion chambers. With hours on the dyno Honda has squeezed an incredible 207bhp from its screaming inline four cylinder motor (who said Blades were slow?) and sliced weight down to the series minimum 174kg limit. Just as much time has been spent perfecting chassis geometry, ride heights, spring and damping rates and even getting the seating position just so, to suit Tom’s size, weight, speed and riding style. It’s all stuff you’d spend seasons trying to figure out, if at all, living the superstock dream out the back of your van. Compared to the road bike there’s more power everywhere, from tickover to the inline four’s blood-curdling redline. It delivery is smooth and the up/down quickshifter far crisper. Thin handlebar grips give the SP2 a sparse, more plugged in feel, steering is more accurate, tyres grip harder and brakes are relentlessly savage. Most road bikes become easier to ride when you add sticky tyres and suspension, but the Honda is slightly angrier and more on a knife-edge at the speeds I’m going, just because it’s set up for such a quick rider who can work everything that bit harder. A short wheelbase may sharpen the steering, but the SP2 doesn’t think twice about lifting its rear wheel on the brakes, which again has me running on over the bumps. Forks are stiff for support into corners, but I can’t push hard enough to get the same plush front-end feeling Tom has at the limit. Instead it just batters my wrists. Seat and bars are lower than the road bike’s to improve control and now you can ‘cuddle’ the fuel tank and lock yourself nicely in, but with legroom reduced, my knees take a battering. 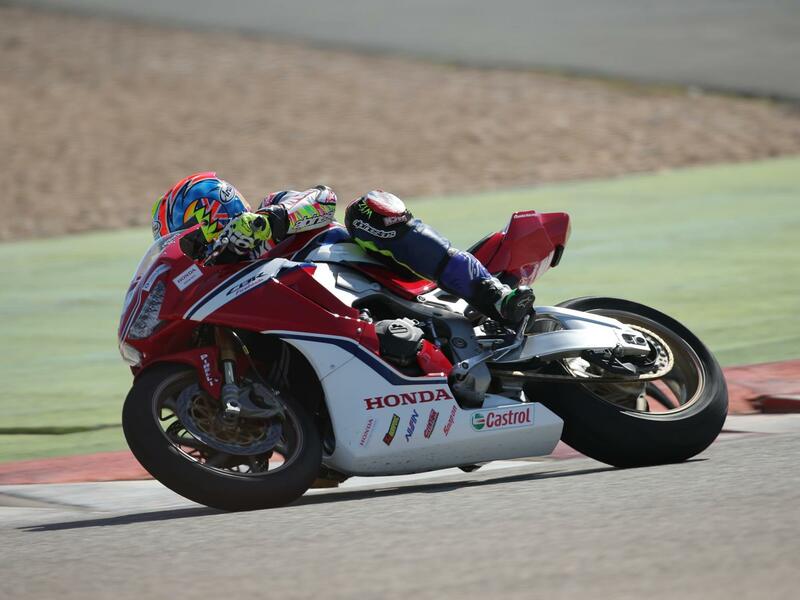 Honda have given me more than a superstock race-worth of laps and it takes a while to unfurl my body back into shape, kick my groin straight and unscramble my brain. I’m already on the ropes and now the superbike is about to strike its killer blow. 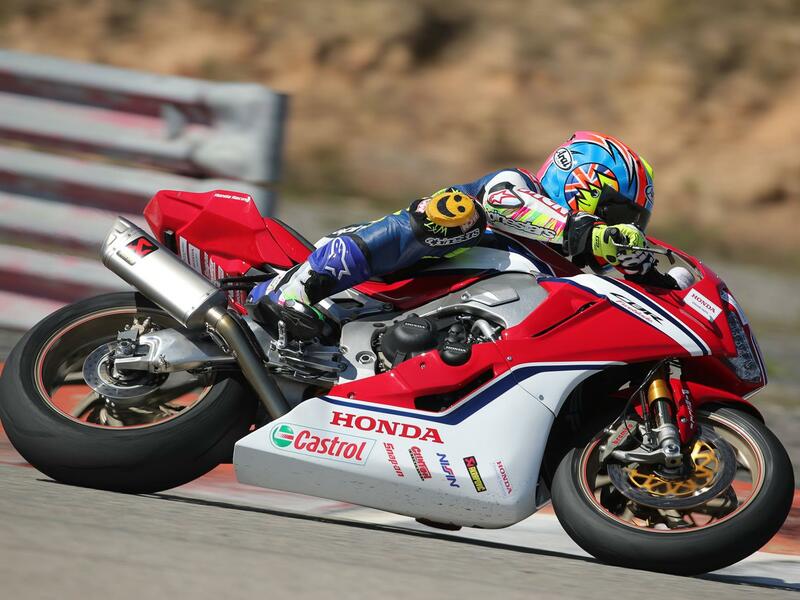 With well over 230bhp to play with and weighing just 168kg, the trick for Honda and the rest of the BSB teams is to harness all that brutal power without traction or wheelie control, which, of course, is banned…and no doubt why the racing is infinitely more entertaining than WSB. 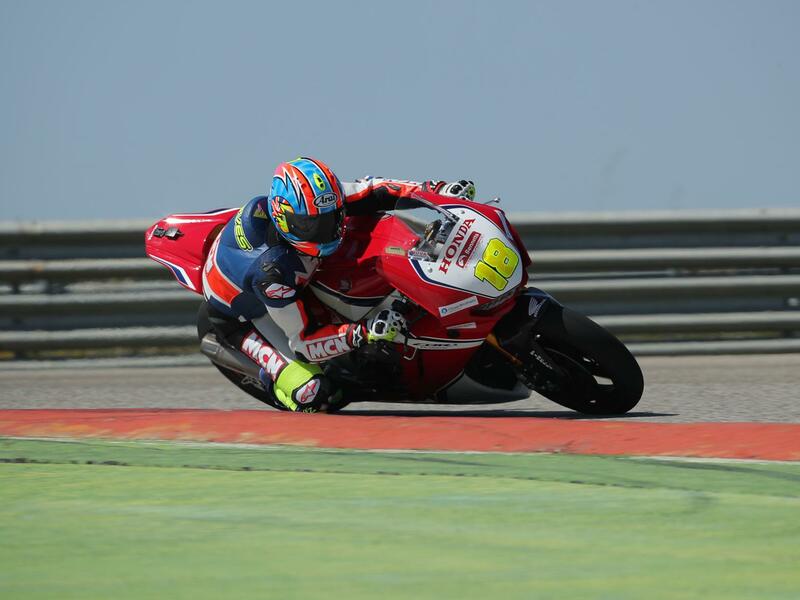 New signingé and former WSB podium regular Xavi Forés has moved development in a different direction and looking at the winter test time sheets it’s working for him and new boy Irwin. Making the most of his WSB-style ‘stop, turn and fire-out’ cornering technique Honda Racing’s 2019 BSB Blades are now set for late braking stability and big traction and support under upright acceleration, at the expense of corner speed, which they no longer need. So in addition to detail changes for this year like new 46mm Öhlins forks (up from 42mm), lighter wheels and engine work, the Blade’s weight has been shifted back and the frame braced under the swingarm pivot. The whole machine is raised for better agility, but the seat moved back down again, so Forés and Irwin sit lower in the bike. To make things more controllable at its brief full-lean phase of the corner, Honda has reduced power at low rpm in bottom gears. Irwin’s machine is even stiffer, more nervous and cramped than the superstocker and when the power kicks in it’s like being rear-ended by a truck at 100mph and makes the superstocker feel sluggish at high rpm. This brutal BSB bike is such a shock to the system and feels so alien that my first session passes in a gibbering blur. But with confidence growing the Blade comes to me during the next session and the harder I dare push, the more the chassis talks to you. Now I’m falling in love with the grip from the Pirelli Superbike slicks, its huge screen, the braking stability that comes from its stretched out wheelbase and of course its ruthless acceleration. Strangely there’s so little power at low revs, the BSB Blade feels like it’s stuck in a stifled ‘Rain’ mode, which of course is the idea – no need for traction control in the first place. Just be sure to stand it up quickly when you leave a corner because when that power comes in when any degree of lean, it’ll turn your world upside down. Once you get the hang of how it needs to be ridden it’s easier and less angry than the superstocker. The team download my pitiful first session data and cheerily compare it to Irwin’s. They suggest I might want to go faster, which I do, but I’m happy to bring it back in one piece. 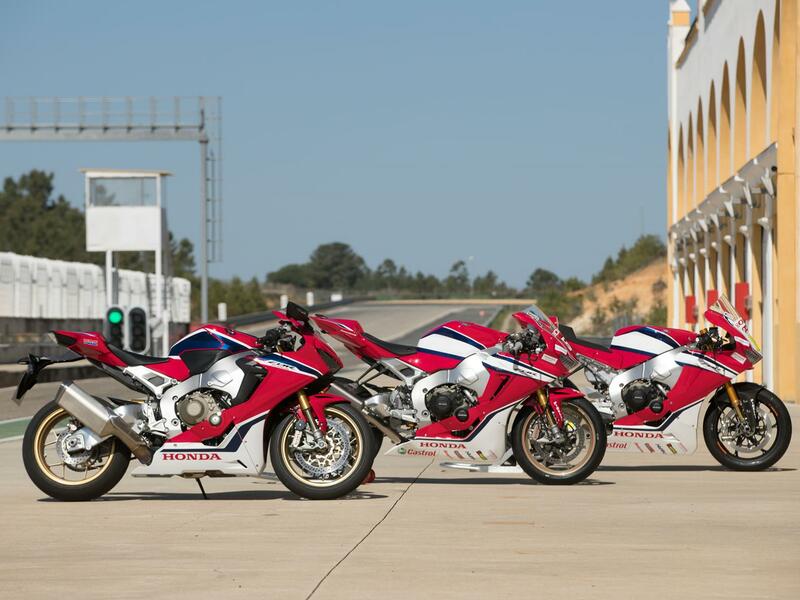 What’s most impressive about Honda Racing’s 2019 Blades isn’t so much about the bits bolted to them, or their maniacal speed, it’s how they’ve evolved into the beasts they are through endless hours of testing and development. Creating a competitive machine, even a seemingly simple superstocker, without the knowledge of an experienced team and direction of top racer is impossible. Irwin, Forés and Neave will no doubt make riding these racers look easy this year, but jumping on them from cold is a shock to the system. They need so much more physical and mental strength to get around a track than the friendly road Blade they’re based on.